The Back Story: Dorade, an 87-year-old sailboat, is not just a classic – she is an antique. Olin Stephens, at the age of 21, designed the sailboat in 1929. The construction of the sailing yacht was completed in 1930 with the guidance of brother, Rod Stephens. The Stephens brothers went on to race Dorade in the 1931 Transatlantic Race against wealthy yachtsmen and celebrated sailors. The two brothers won the race aboard Dorade from Newport, Rhode Island to Plymouth, England with more than a two-day lead. Her conquests continued with additional wins in the sailing circuit in 1933 and 1936. Dorade still has her original name and continues to amaze in sailing competitions around the world. A Campaign for a Champion: Matt Brooks and Pam Rorke Levy purchased Dorade in 2010 and spent a year restoring the Sparkman & Stephens yacht to her original condition. Brooks and Levy then started a “Return to Blue Water” campaign. The goal was to have repeat performances from the 1930s. The campaign exceeded their expectations in the 2013 Transpacific Yacht Race with improved race times from 77 years ago. 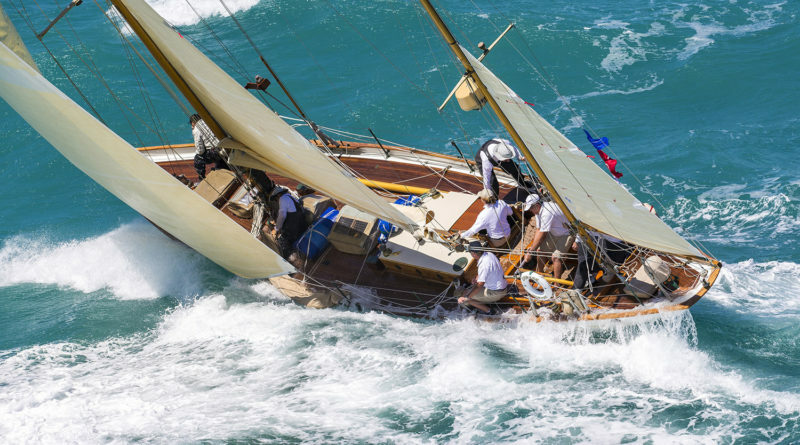 Dorade also triumphed in the 2014 Newport to Bermuda Race. Brooks and Levy launched the “Dorade Down Under” campaign in which Dorade is now racing in a series in Australia including the upcoming Rolex Sydney Hobart. Recent Notes: Dorade earned several awards at the 2017 Newport Beach Wooden Boat Festival including “People’s Choice Best in Class” and “Most Distinguished Provenance.” Dorade is currently in Australia participating in the yacht races down under. Her team continuously works to keep her maintained in top shape for racing. Brooks and Levy plan to continue demonstrating this antique yacht’s sailing ability by challenging racing yachts of today in regattas around the world. On the Horizon: Dorade’s sailing team has a full 2018 race schedule. She received an invitation and will participate in the Melbourne Festival of Sails in January. She will compete in the Dubai to Muscat Sailing Race in March. The crew will go on to race during the month of May in the Les Voiles Des Cassis and Les Voiles D’Antibes. More races follow in early to mid June. The crew will contend for the Giraglia Rolex Cup. Summer months include a race in Barcelona. A race from Cannes to Saint Tropez is also planned in October of next year. Achievements: Dorade’s victories are too numerous to list, as she has excelled in so many international yachting competitions. Her racing results are listed online at dorade.org/results-2017.